Chef Jose Andres Is Chief Culinary Advisor for the New National Food Exhibit What’s Cooking Uncle Sam? If you are in Washington DC staring today through January 3, 2012, don’t miss the amazing new exhibit on American food history drawn from the files of the U.S. National Archives: What's Cooking Uncle Sam?. The National Archives? Isn’t that the dusty department charged by Congress to collect and curate all those totally uninteresting governmental paper? Well, that’s what Chef Jose Andres, chief culinary advisor to the Exhibition, thought until he began to explore the wealth of culinary documents preserved at the historic Archives. Tucked into the folders at the National Archives, decade after decade, is a treasury of material that traces the history of food in America and the government’s involvement in setting food safety standards, wartime rationing, experimental farming, recipe development and much, much more. Have no fear – you won’t be bored. Instead you will encounter the almost forgotten Frank Meyer, America’s foreign plant explorer, who traveled from the vast grasslands of Manchuria to the tiger-patrolled mountains of Siberia to bring hundreds of new plants to stateside farms. Then there’s the largely unknown story of the Margarine War of 1886 when American dairy farmers rebelled against the importation of the horrible “oily imposter” from Europe. 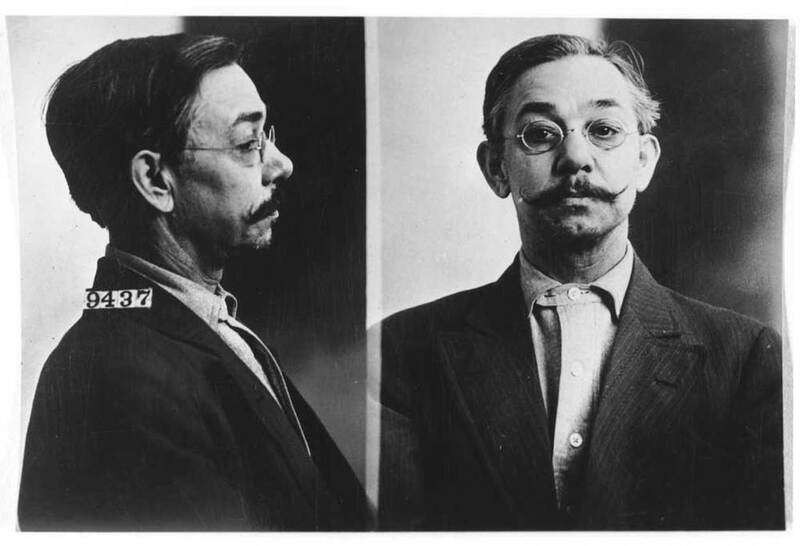 There are even photos of the margarine ‘bootleggers’ who were arrested for trying to sell the hated 'false butter’. Engaging displays chart the U.S. government’s efforts to promote potato consumption and the acceptance of frozen food, a radical new idea in the 1920s. But the fun doesn’t stop there – the wide ranging tastes of the White House’s leading occupant are explored from President Eisenhower’s favorite all-American deep dish apple pie to John F. Kennedy’s must-have chowder. And least you desire to try the actual cuisine that the Exhibit documents, Chef Andres is creating the pop-up restaurant America Eats Tavern (opening July 4, 2011) nearby that will offer a sampler of the food (and professional passion) that created this unique and informative showing. Now that’s a true taste of history - American style! Posted on June 10, 2011 by Ana Kinkaid and filed under Chefs, Cooking, Culinary History, Dessert, Museums, Restaurants, Reviews, Travel, White House and tagged America Eats Tavern Chef Jose Andres Clarence Birdeye Frank Meyer Frozen Food Margarine War of 1886 What's Cooking Uncle Sam?.